Christmas morning is a special time for families. For parents, it also marks the end of an exhausting holiday season. Making breakfast on Christmas morning might feel like one of the last chores to check off on a long list of holiday tasks, but it really doesn’t have to be. All you need is a few inspiring recipe ideas to get you in the mood to cook in the early hours of Christmas, and a few recipe ideas to prep your meal the night before. If you’re a parent with young kids, you know that Christmas Eve can be a late night and Christmas Day can start pretty early. Get the supplies you need for your morning coffee set out the night before so you can brew a delicious cup that gets you in the Christmas spirit. 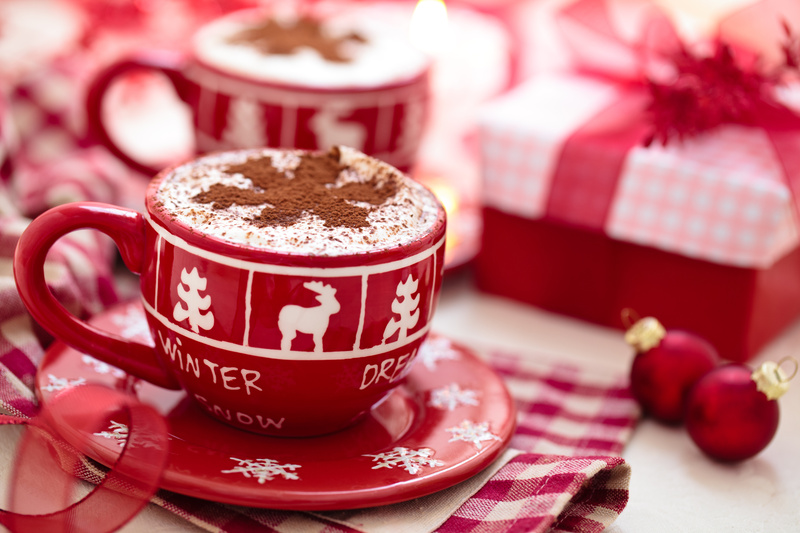 Of course, as we all know, that Christmas spirit requires generous portions of whipped cream and cinnamon to top off your favorite blend. Or, if you’re really up to try something new, go the extra mile with this tempting homemade peppermint mocha recipe at Pinch of Yum. We know waking up on Christmas morning can be difficult. Even though you’ve put in plenty of hours trying to make Christmas perfect for your family, there’s still some work to do on Christmas morning. Thankfully, it’s possible to make breakfast less of a chore by prepping meals the night before. French toast is a great recipe to make ahead and throw in the fridge to speed up the process–which will come in handy when the kids are anxious to open gifts or you’re not in the mood to crack eggs. Add a special ingredient in this eggnog recipe. Pancakes are one of the easiest and most desirable dishes to make on Christmas morning. Like the French toast, you can get the batter ready the night before. Pancakes are very easy to cut and shape into Christmas shapes that are perfect for your morning breakfast. It’s just a matter of cutting them up, stacking them up and adding the right toppings to decorate. Interested? 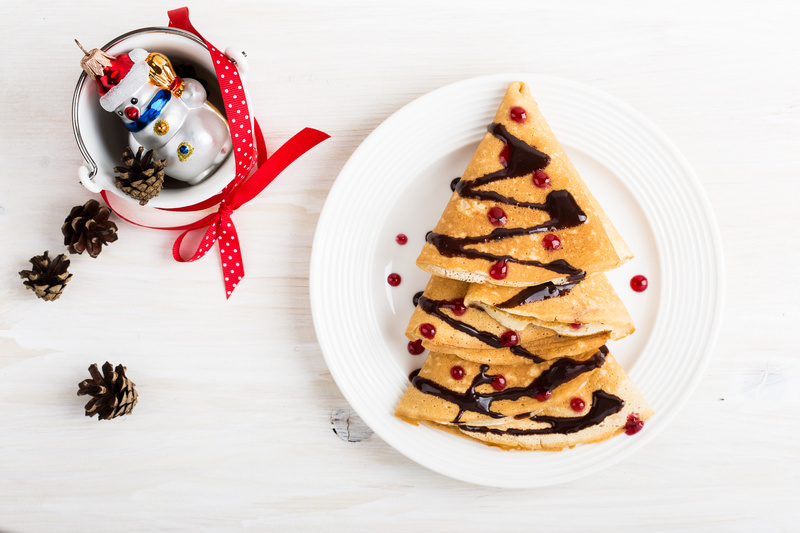 Check out this recipe for Christmas tree pancake stacks. The best gift on Christmas morning isn’t always waiting under the tree. Sometimes it’s sizzling in the kitchen brushed with maple syrup and sprinkled with salt and pepper. Don’t overthink it. The holidays are still in full swing and New Year’s resolutions are for next week. Indulge with this amazing maple-pepper bacon recipe. Making the batter for French toast or pancakes will save you some time on Christmas morning, but it leaves a few cooking steps on the table. If you’re looking for a meal you can completely prepare the night before so you can throw it in the oven early in the morning, get out your baker or casserole dish. 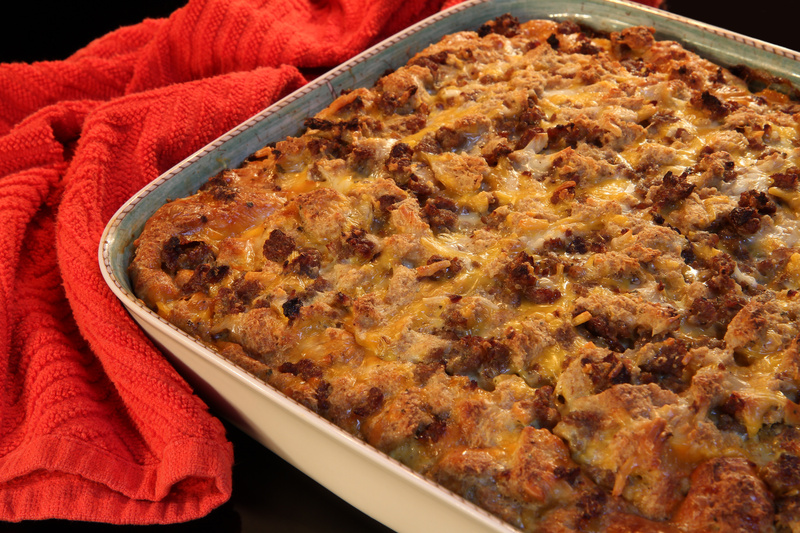 Great for big families, full hearty recipes like this sausage breakfast casserole are crowd-pleasers that will fill stomachs and bring smiles to everyone sitting around the table. It’s a great recipe to recreate for kids during their holiday break.